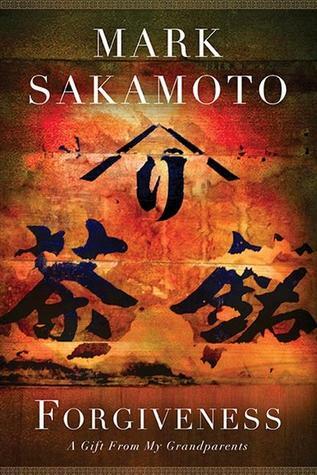 In Forgiveness, Mark Sakamoto tells the story of his maternal grandfather, Ralph MacLean, who had spent a number of years clinging to life as a POW in a Japanese prison camp during the second World War and his paternal grandmother, Mitsue Sakamoto, who had been forced from her home and province following the bombing of Pearl Harbor by Japanese forces. The details surrounding Ralph’s imprisonment were harrowing to say the least. I found myself having to put the book down multiple times as the descriptions of the living conditions inside the camp were too much to handle. I can’t imagine the strength he had to find within himself to keep going when hope of survival was at its bleakest. Mitsue’s story was particularly heartbreaking. Along with other Japanese-Canadians, Mitsue had to watch helplessly as all her belongings were stolen from her following her forced relocation. As Canadians, we should certainly be proud of all that we have accomplished as a country, but we should not shun or hide less favorable aspects of our past. We are by no means perfect and our treatment of Japanese immigrants as well as Canadian born men and women of Japanese descent during the second World War is one of those less than prideful moments. Near the end of the book is where things would become quite personal to me. Mark tells of the falling apart of his family as his parents (Mitsu’s son and Ralph’s daughter) divorced when he and his brother were still very young. In the years that would follow, I found Mark’s experiences mirror my own as he helplessly watched his Mother’s life fall apart leading to her untimely death in her early fifties. This was almost eerie. I wouldn’t be surprised to see Forgiveness take the top spot in the competition, but the book that I had expected would win last year was knocked out immediately (I’m still mad about that). In the end, it’s all about having a strong advocate, so hopefully Jeanne Beker can pull up her socks and do this book justice.